May | 2014 | The Race Dr. The #5 pick is the best driver on tracks like this, #20 Matt Kenseth. Matt has 30 starts, two wins and 13 Top 5’s – almost half, and more importantly, four of his last six races were Top 10’s. My #4 pick has horrible stats here in the first state, #4 Kevin Harvick. Kevin has 26 starts, no wins and three Top 5’s. Again not the best stats but he did finish 6th here last year and five of his last six starts were Top 10’s and he is #3 hottest over the last six weeks. The #3 pick is a two-time former-winner here, #18 Kyle Busch. Kyle comes into the Monster Mile with 18 starts, the two wins and nine Top 5’s. In his last eight races seven were Top 10’s and half were Top 5’s. My #2 driver to watch has the #3 best average finish at the Monster Mile, #24 Jeff Gordon. He has 41 starts, four wins and 17 Top 5’s. Jeff is having a great season – he is #1 in points and #2 hottest over the last six weeks. My #1 driver is the winning-est current driver here, #48 Jimmie Johnson. Here at Dover Jimmie has eight wins in just 24 starts and 12 Top 5’s. He has won five of his last ten races here helping him to the #1 best average finish. 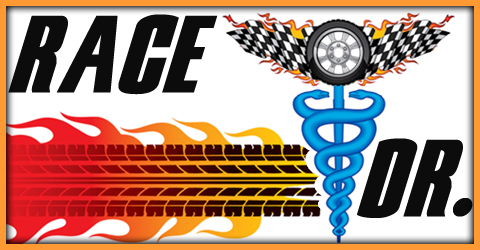 Monday look for our preview of the Poconos 400 from Pocano Raceway. Here’s our Top 30 for Sunday’s race. Friday we’ll break down the Top 5 drivers. For the third week in a row Hendrick Motorsports and Joe Gibbs Racing have swapped places. Team Penske Racing hangs in at #3. Roush/Fenway Racing move up two spots to #4. Michael Waltrip Racing drops a spot at #5. Richard Childress Racing gain a spot at #6. Chip Ganassi Racing move up three places to #7. JTG/Daughtery Racing, the only single car operation in the Top 10 stay drop to #8. Richard Petty Motorsports stay at #9. Stewart/Haas Racing remain at #10. These are the Top 10 Teams, Thursday look for our Top 30 drivers in advance of Sunday’s Autism Speaks 400. 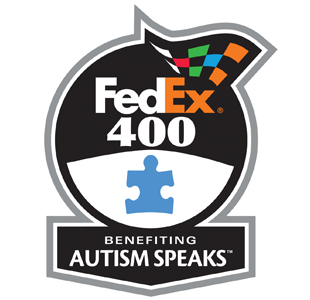 Top 10 drivers on Intermediate tracks, Wednesday look for our Top 10 teams ranked and Thursday look for our Top 30 driver rankings for Sunday’s Fed EX Autism Speaks 400 from Dover Int. Speedway. We are done with two weeks of racing in Charlotte, and it is time we visit the concrete jungle in Dover, DE, AKA the Monster Mile. I love this track! The banking is high and the site lines are amazing. Just about wherever you sit you have a great view of the track. In the last ten years two teams have dominated here. Hendrick Motorsports has six wins, all by Jimmie Johnson. Roush/Fenway Racing also have six, with the most recent from Matt Kenseth in this race in 2011. Penske Racing has three, with the most recent by Brad Keselowski. Matt has moved on to Joe Gibbs Racing where they have only found victory lane twice in the last ten years, both times with Kyle Busch. Will Matt bring JGR their first win at Dover since 2010? Will Hendrick Motorsports or Roush/Fenway Racing take the lead in most wins in the last ten years? Or will another team take victory? We’ll find out Sunday. My #5 driver has the #2 highest average finish here, #18 Kyle Busch. Kyle has 19 starts here and eight total Top 5’s. Eleven of his last 13 starts were Top 10’s. The two that weren’t were 32nd or worst. Nine of those last 13 were Top 5’s. Kyle couldn’t stay out of trouble last Saturday, but if he can on Sunday he should notch up another Top 5. My #4 pick has the best average finish here, #5 Kasey Kahne. His last five races were all Top 10’s and four of them were Top 5’s. He has four wins in just 20 starts with nine Top 5’s. Kasey has been quiet so far this year, look for that to change. The #3 pick is Mr. Consistency, #20 Matt Kenseth. He has 10 straight Top 15 finishes in the Queen City. He is also a two-time former-winner here. Matt has those two wins in his 29 starts and nine Top 5 finishes. Matt is also the #2 ranked driver on tracks like this. My #2 driver has never won here, #11 Denny Hamlin. Denny knows how to race fast here; he just has trouble finishing well. He’s hoping this is the year he races fast and smart and gets to the finish line first. He has 17 starts and four Top 5’s. His last seven races were all Top 10 finishes and four of those were his Top 5’s. My #1 pick is a two-time former-winner here and the defending champion of this race, #4 Kevin Harvick. Yeah, he has two wins but in 26 career starts he only has four Top 5’s…four. Kevin looked great here in the All Star race (except for his pit stops). He is ranked #1 for me on tracks like this and most importantly his two wins came in the 600 mile May race, not the autumn 500 mile race. Monday look for our preview of the FED EX 400 from Dover.